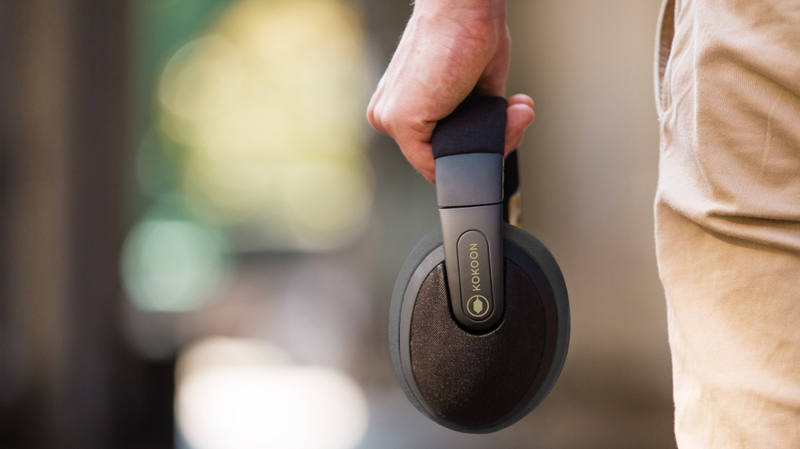 One year, ten months, three weeks and, at the time of writing, two days; that's how late the Kokoon EEG headphones are on delivering to the 8,489 Kickstarter backers who got behind its campaign back in May 2015. That's a long time to wait for a good night's sleep. Two years is the classic length of time before a crowdfunded product finally admits defeat and delivers the killer blow update to its backers - "Sorry chumps, but the game's up". That's not going to be the case with Kokoon. In fact, January 2018, just short of that two-year watershed, is when the first run of what's billed as the "ultimate sleep sanctuary" will show up on the doorsteps of the backers, and that promise comes from the horse's mouth. The horse in question is Tim Antos, co-founder of Kokoon whom Wareable caught up with to find out just where our money's gone. "People will definitely get their products," says Antos with the kind of certainty that makes us want to open our wallets and hand him another 20, even if this isn't the first delay. "We've got nearly 18,000 orders to ship but it's hard to say how many we'll fulfill in January. Our ambition is in the thousands but it's very difficult to say." Kokoon's fruiting has come just in time for the total shut down of China that is the February new year celebrations, which means that the bulk of the orders will be fulfilled in March and April, fingers crossed, but having that gap in production is not as bad as one might expect, at least according to Antos. "Our challenge is that we have quite a lot of backers and, when you're scaling a factory, you don't want to go all out just in case. So, we'll have that month to fix any possible small issues but, as ever, manufacturing is a tricky beast and it's always prone to something going wrong here or a supplier letting you down there. Even the big companies like Apple get hit by these things." Antos's confidence comes from Kokoon's latest £1.6m round of investment on Crowdcube to add to the £1m of private funding gathered in between the two campaigns. Asking for more money is the kind of move that sets alarm bells ringing for backers of a project that is already well past its delivery date, but the truth, certainly in this case, is quite the opposite. "We could have shipped the product that we originally designed a long time ago but, frankly, it would have worked for about 25% of the people and caused more issues than it solved," explains Antos. "There's two approaches you can take to a Kickstarter campaign - the first is that you ship the basic version, use the community as your beta testers and then come up with a second generation of the product that really delivers based on the feedback. That route became closed off to us when Kokoon went big. We had to make something quality the first time around because any problems are on the scale of tens of thousands and it would be too damaging and it's the end of the show. So, our success meant we had a responsibility to design and engineer this to the next level." The Kokoon team has come across two big and notoriously tricky engineering realms, which they unwittingly found themselves having to explore. Ergonomics and acoustics are, according to Antos, "two of the darkest arts of science". By this, he means that there's reams of data on both that can offer a form of guidance but it's just impossible to tell how comfortable something feels or how good a pair of headphones might sound until you've actually built them. This mission was: how can we get this lab tech to normal people? What's more, what feels good for one person might not sit right over another person's ears. Getting it right the first time, then, has been quite the task and it's those challenges which have caused such extreme delays. Look down the essays of the 43 updates on the Kokoon Kickstarter campaign page and you'll see the friendly, earlier posts of pictures of the team hard at work quickly turning to cold, hard graphs, hardware shots and apologies explaining just why there's going to be another three-month delay. It's a hell of a lot more than they bargained for given that the main reason that Antos and co-founder Richard Hall took Kokoon to crowdfunding in the first place was as a means of validation. "The reception completely blew us away," Antos tell us. "We'd done everything wrong in preparing for that campaign but it still really took off. It was a very nice moment. It made us realise how many other people already have this challenge and how many were saying that they were already using headphones to fall asleep in and messaging to say how long they'd been waiting for something like Kokoon. It was amazing but it also made us realise that we had to do it right." That added pressure was something of personal issue for Antos. He had suffered from insomnia which was what, in turn, was the grit in the pearl which created Kokoon. Working, at the time, in a very small digital innovation team at Lloyds Bank and tasked with the unenviable remit of trying to make a major financial corporation seem cutting edge, it was a small team with a lot on their plates and the stress began to mount. "I'd drop off just fine but then I'd wake up at four or five in the morning with my mind full of what I had to do the next day and I'd never get back to sleep again," says Antos. "It happened for quite a long time and I became absolutely exhausted. I went to a sleep clinic to try to resolve the issue. I went through all the tests, all the Cognitive Behavioural Therapy and the rest but the part that really worked for me was when they recommended some audio-relaxation therapies and they also recommended listening to the BBC World Service. It's boring enough that it will send you off, but interesting enough so that it distracts your mind from all the thoughts that are keeping you awake. "Through all this, I really discovered the world of the sleep clinic and all the technology and science that they've got at their disposal, and what sparked Kokoon was the realisation that all the tools to help people are locked up in a lab and you only get to experience it if you pay thousands for a session. So, the mission was: how can we get this to normal people?" Almost all of the sleep devices on the market use actigraphy to determine the duration and quality of your shuteye but it's of debatable use. All it does is measure how much you move. The less you move, the deeper you must be sleeping. It works a lot better than one might expect but it's still pretty crude, particularly when it comes to recording the stages of sleep. A few other sleep trackers, usually the dedicated ones like the Withings Aura, can tie in pulse and breathing rates to clarify the picture some but the real lab method is to measure your EEG. In clinical conditions you'll have 10 or more electrodes placed on your scalp to analyse brain activity and determine exactly where you are in your sleep cycle. Kokoon contains two such EEG sensors. It's not at the same clinical level of accuracy it's a lot closer than the blunt approach of actigraphy. Right now, Kokoon is programmed with 30-40 different soothing soundscapes to get you in the mood for sleep. When it senses that you've dropped off through the EEG measurements it then replaces that audio with what Antos describes as "active white noise", which adapts to the environment in real time, the job of which is to protect you from waking up prematurely. The use case where Kokoon sees most success, according to Antos, is frequent travellers on long haul flights. However one of the main design constraints has been creating a set of cans for everynight use that are comfortable enough to work with a pillow whether you're sleeping on your back, front or side. All the same, the headphones are simply the platform, for the moment, upon which Kokoon is hoping add new software and scenarios. "Our core tech that we think we've discovered is intelligent audio. We use audio to help with some activity - sleeping, exercising, meditating, focusing - then measure the EEG and work out how the audio needs to adapt in real time and adapt over the long term. That's how we see our future." For the present the task remains the same as it has been for the last few years - to turn that glint in backers' wallets into a physical product on bedside tables and it's not a burden that Antos and Hall have carried lightly all this time. "We have so much expectation behind us and you really feel that weight all the time. It's extremely tough," says Antos. 'A lot of my friends and family have backed me too and they ask me about it every time I see them. It's extremely painful for us. Every day, all of us are pulling out the stops to make it happen. Often some of the comments online can get quite aggressive and can bring you down a little bit. It's hard not to take it personally but you've got to believe in what you're doing and keep going. "The ones that still amuse me are the comments that say it's a scam. Well, if that's the case, then this is the most elaborate scam that anyone has ever come up with. After all the stuff that we've been through, the challenges, the living in China for months, I'm not sure a scam like that would have been worth it. It would have been easier to ship a crap product with a crap experience and walked off with a very nice chunk of change. Believe me, there's no scam in deciding to do it the hard way." Antos says he's backed a lot of crowdfunding campaigns himself, plenty of which have never made it. "I think there's a core of people on Kickstarter who are supportive and understanding and for whom it's about furthering new technologies and new ideas and not really about getting rewards. But there's also a lot of backers who have retail expectations and quite often don't appreciate the challenges and difficulties in making a good quality product and go into Kickstarter with the same mentality with as they go to Amazon." It may not feel like it to those early adopters but, despite the wait, it seems that they've might have got themselves a very good deal with Kokoon. The product that backers first signed up for was nothing like the kind of premium device that they'll eventually be delivered. The original price is less than half of the £300 it will retail for with it now comparable to the likes of B&O and Bose in its market positioning. Yes, Kokoon has made mistakes. Yes, if Antos could do it again, he'd try to be more transparent from the start and put the disclaimer at the top of Kokoon's Kickstarter page in bigger, bolder letters and with far stronger words but perhaps there needs to be a greater appreciation from crowdfunding users that starting up a business is not easy, that engineering is expensive and that getting in early doesn't come without a great deal of risk. Perhaps there is something ultimately flawed with the idea of crowdfunding as it stands and in the language in which it's presented. 'Backers' expect products but 'investors' are aware that returns are not guaranteed. What's more, even well-established multinationals experience product delays, so why should we bemoan a company like Kokoon when things don't go according you plan? "Think of crowdfunding as a building project," is Antos's suggestion instead. "It always takes three times longer than you expect and twice as much money to do it." Sad you are experiencing this but my Mother-in-law, a senior, is out 300 plus bucks. Just over 2 years and still no product.... when will they start issuing refunds? You better be warned... these do not work as advertised. If you have sleep, or stress problems, look elsewhere. And if you look for headphones you would be able to find some at your local grocery store with better sound quality for perhaps 1/5 of the price, or less. The only thing, yes the only thing, that is good with Kokoon... is the packaging. It looks really serious but that is sure only to fool the customer.